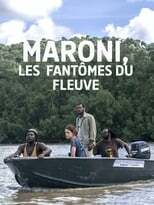 List of the latest French TV series in 2019 on tv and the best French TV series of 2018 & the 2010's. Top French TV series to watch on Netflix, Hulu, Amazon Prime & other Streaming services, out on DVD/Blu-ray or on tv right now. 2018, 2017 & the 2010's best rated French TV series out on DVD, Bluray or streaming on VOD (Netflix, Amazon Prime & Hulu). Les rivières pourpres created by Jean-Christophe Grangé is yet another succesfull French detective series. It's about a bizarre series of murders, a stubborn investigator duo and a lot of bodies. Stéphane Caillard, the Marseilles star, is a police offer investigating a murder and a kidnapping in the heart of French Guinea. A thriller set in the jungle, including some voodoo elements. 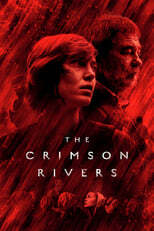 A small town in the French town in the French Pyrenees is the topic of investigation after a horrific discovery of a hidden for years mystery. 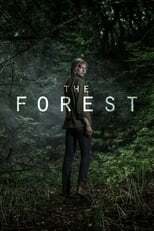 A French Netflix thriller production about a teen who disappears in her small village in the Ardennes. Two detectives lead the investigation. They are helped by Eve, the girl's lonely and mysterious teacher. There are not many shows about female serial killers, so that is always a treat. 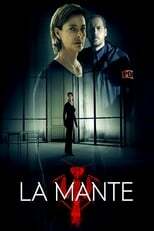 In La Mante, the nickname of the female imprisoned serial killer, she decides to collaborate with the police when a copycat appears killing in her style. The Story revolves around two beat cops who are incompatible with each other but have to work together as a patrol unit in district 19 downtown in cruiser no.2. One of Europe’s top television series. It was already released in 2005, but it remains incredibly popular. 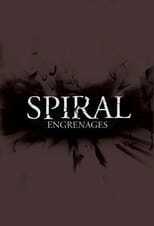 Engrenages ('Spiral') is about the judicial and law-enforcement system of France. The viewer follows follows the day-to-day activities of police detectives, lawyers, public prosecutors and judges. In a sense it is like Law & Order, with the exception that it is actually any good. After having worked in Syria for six year, an intelligence officer can't seem to switch his secret identity off - not even when he's back in France. Very good show! Most often described as the French ‘The Wire’ (HBO), Braquo is indeed remarkably dark and violent, but like the other French police show on this list, Engrenages, also goes into the specifics of law-enforcement. It follows a unit of Parisian detectives who without hesitating circumvent the law, and let nobody get in their way to achieve justice. 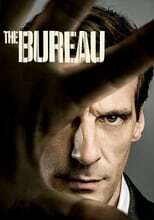 The series starts when one of their colleagues commits suicide because of something to do with a case. They sink their teeth into it and do not let go. It is definitely one of the better European television series out there. Follows a French Canadian woman going to jail for 7 years for pushing her father down the stairs. As the story unfolds we get to see how this all came about and the reasons behind it. The story follows the woman in jail as well as her family on the outside. In France, people no longer look down on television. The French have created a few great series like Spiral, for instance, but since The Returned they have really kicked off. Below, our pick of France’s finest. I do not have to tell you that the French have a thing for cinema. But now, although for a long time frowned upon, they also have a thing for scripted television shows. Next to great crime and police series in the 00’s, a number of hit French tv series have been produced in the 10’s that will blow you away. Most recently the Canal + 2013 French horror series ‘The Returned’ conquered the world, including the US via the Sundance Channel, but more good new series are coming our way in 2014. Here a top list of all the recent best French tv shows you should know.